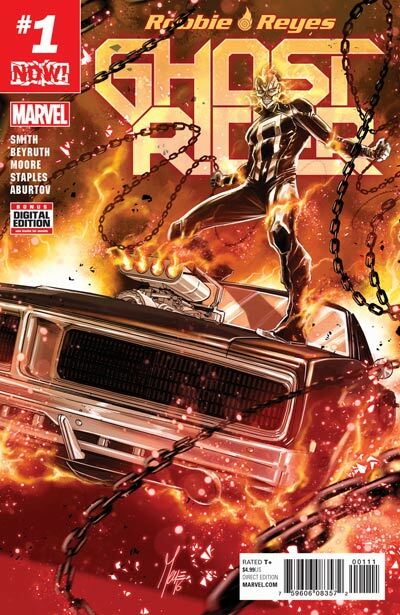 Start your engines, True Believers – because this one is a scorcher! 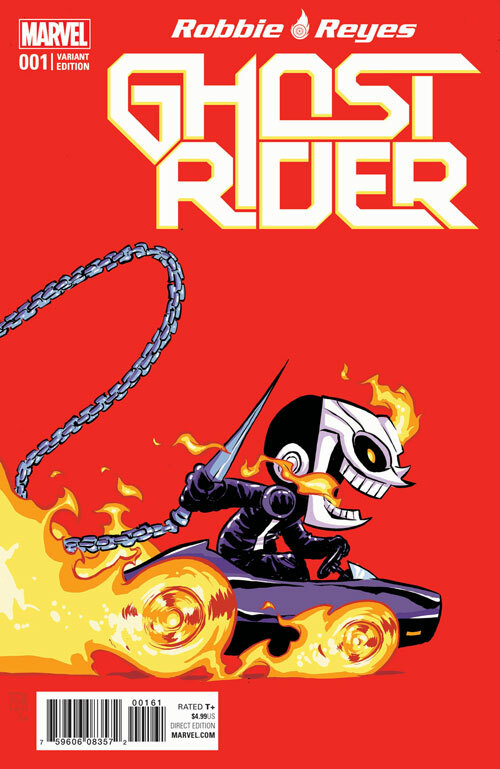 That’s right, Robbie Reyes is back and he’s hitting the gas and driving straight for your local comic shops in the all-new GHOST RIDER #1! 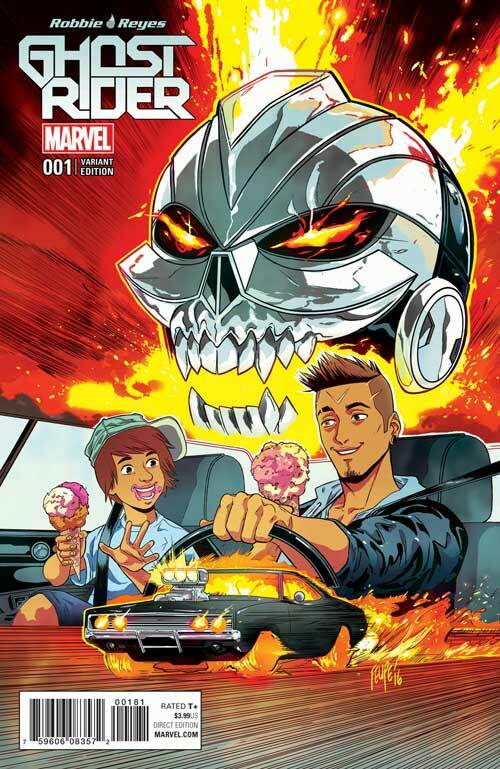 Robbie’s co-creator Felipe Smith (All-New Ghost Rider) is back to pen the ongoing adventures of this high-octane hot head and he’s bringing new series artist Danilo Beyruth (Deadpool v Gambit) along for the ride! 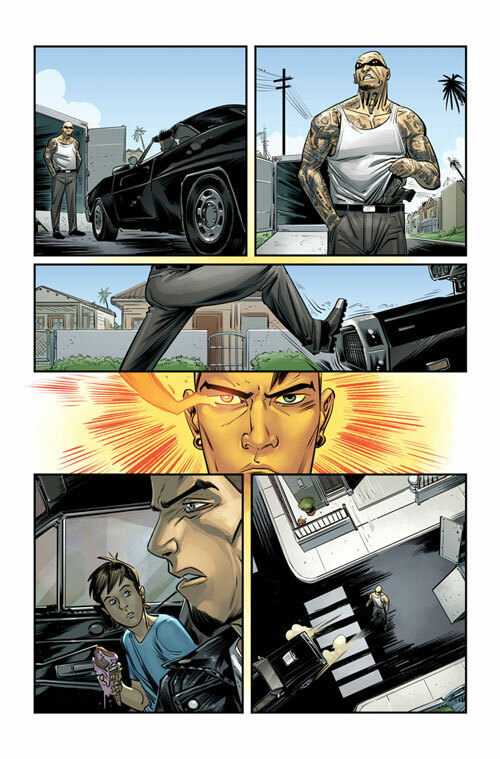 A bizarre and powerful object has been unearthed in Southern California, and the mystery behind it has lead Amadeus Cho, the Totally Awesome Hulk right to Ghost Rider’s backyard! 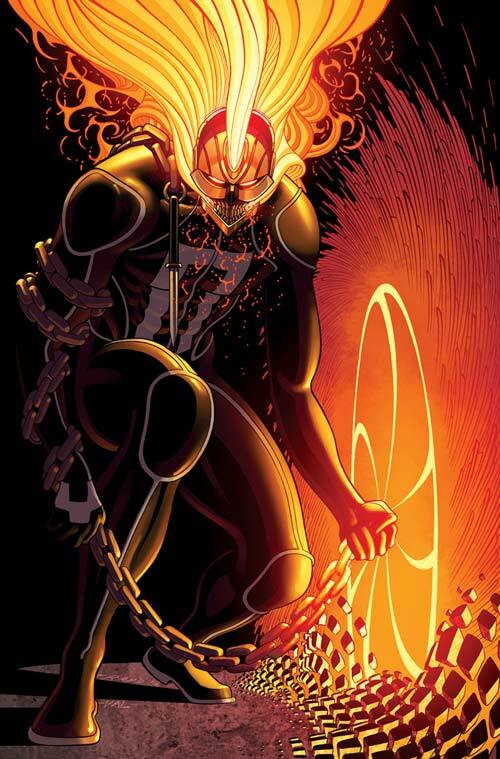 What chaos will be unleashed when this jade giant comes face-to-face with the ultimate speed demon? 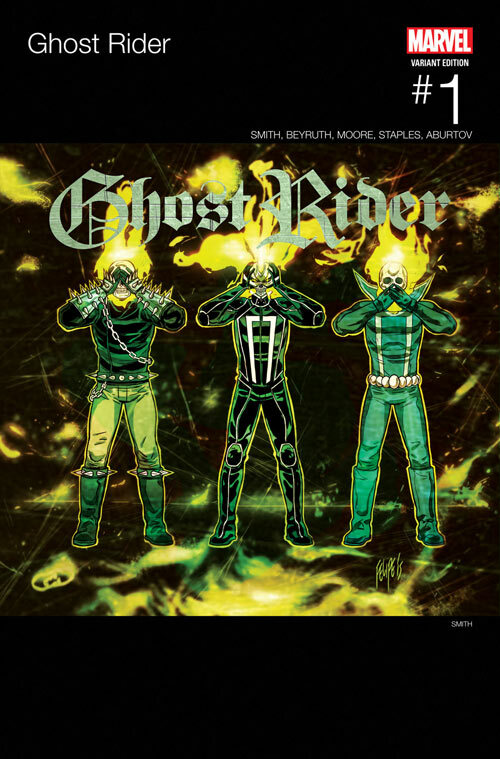 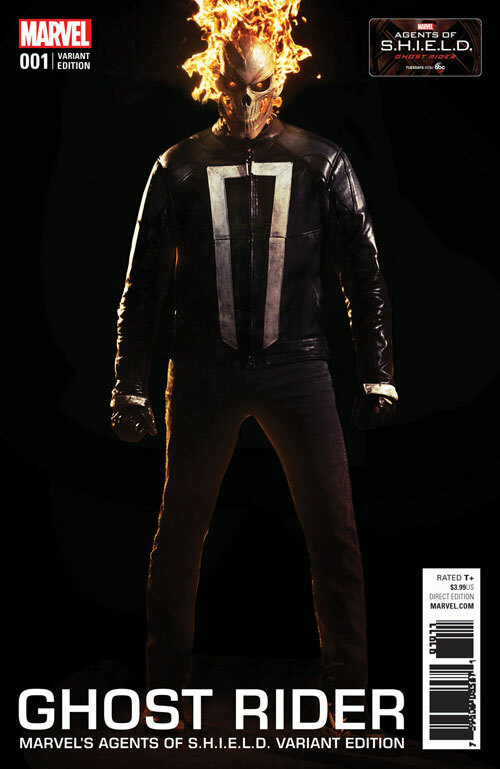 Plus – this oversized first issue also includes a special back-up tale from Felipe Smith and artist Tradd Moore featuring the debut of Ghost Rider’s newest nemesis! 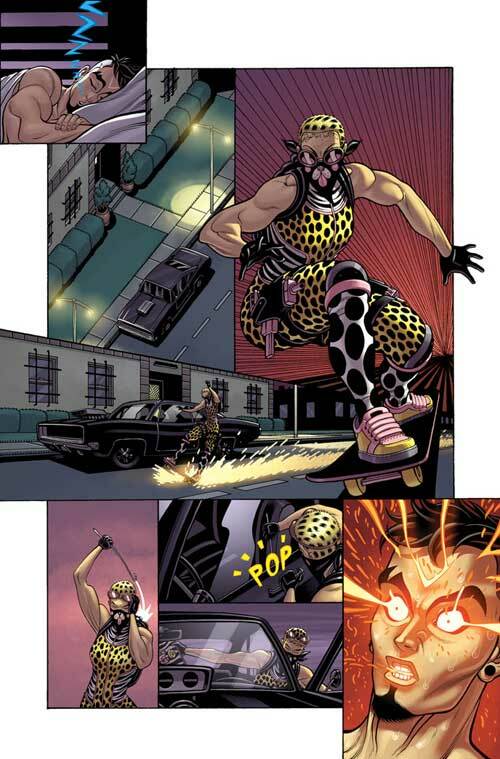 Who is Pyston Nitro, and what is her endgame? 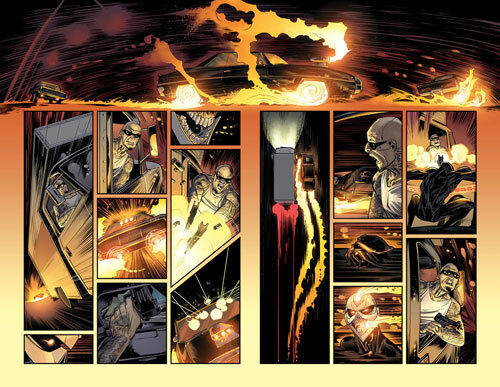 Strap in and buckle up, because the ride is just getting started. 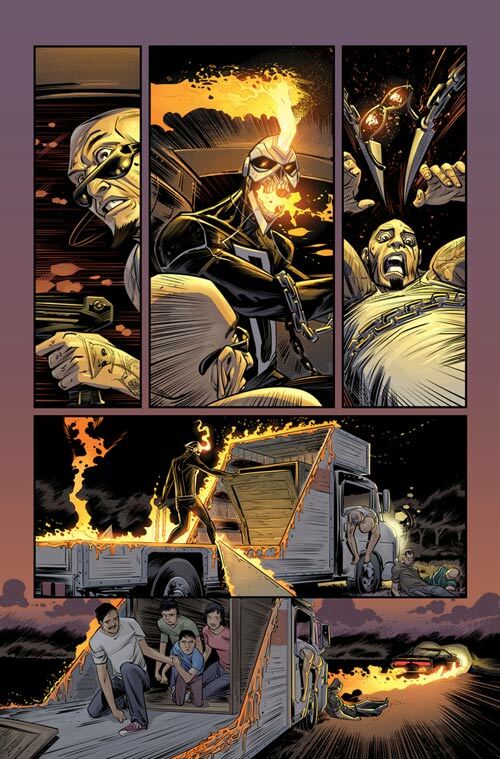 Don’t get left in the dust when GHOST RIDER #1 speeds into comic shops everywhere on November 30th!